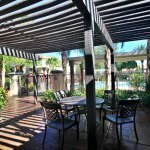 This amazing fully furnished 1-bed/1-bath top floor unit is located in the upscale neighborhood of Seven Hills, Henderson. The world famous Las Vegas Strip is just a short 15 minute drive away. 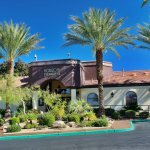 McCarran Airport is a quick 10 minute drive, and the Green Valley Ranch Resort and The District are just 5 minutes away. Renovated with a modern style, this furnished rental is sure to please. Enjoy the vaulted ceilings, hardwood floors throughout, and upgraded lighting, backdropped with the beautiful modern decor. As with all of our turn-key properties, all furniture, housewares and kitchenware are included for your use and enjoyment. 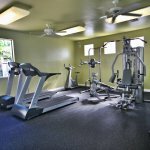 The condo comes ready with utilities included, and WIFI internet. No need to spend your time putting services in your name, just bring your suitcase and start living comfortably from the moment you start. A separate Laundry room is located inside the condo, just off of the kitchen. The Horizons at Seven Hills gated community offers its residents a pool, jacuzzi, fitness center, bbq area, and a club house with pool table. 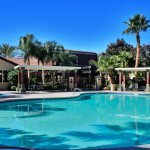 Located in the quiet, upscale community of Seven Hills, Henderson, this area provides all the luxuries of suburban living while maintaining easy access to the Las Vegas Valley and McCarran International Airport. Enjoy the picturesque landscape with rolling hills, walking trails, parks, and sweeping views from this exclusive neighborhood. Endless shopping, dining, and entertainment are located within miles of this community, including the Green Valley Resort and District.